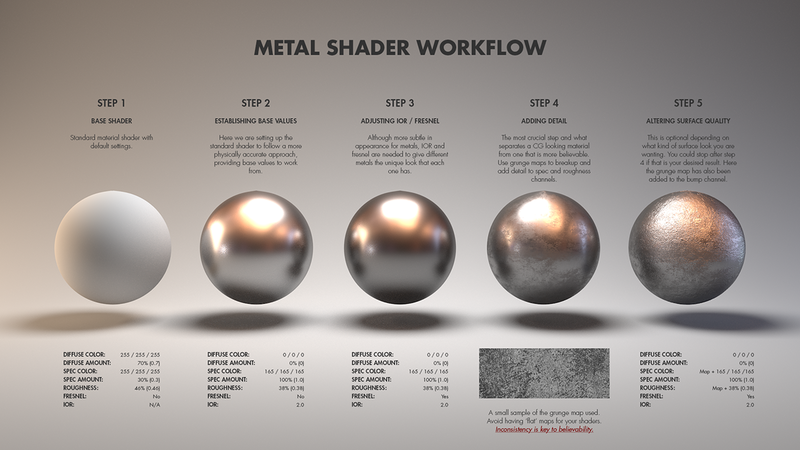 Texture artist Jarrod Hasenjager posted a page of various metal materials study: aluminum, brass, bronze, chrome, copper, gold, iron, lead and steel, and rusted steel and iron. According to the description, the renders are done in Houdini, and the look is driven by artistic taste and personal experience rather than from physical values. My CHI professor used to repeat that users didn’t read error messages, and that you should avoid them when possible. Think about it: how often do you close error messages without even reading whatever is written? And when you do read them, how often do you find them both clear and relevant? 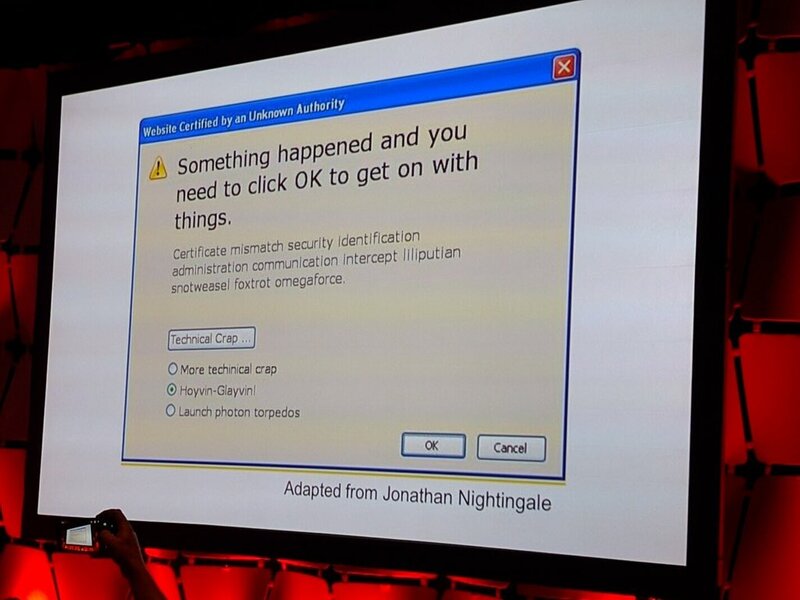 I was recently shown this picture (source unknown unfortunately; adapted from these ones) of a slide that captures perfectly the problem with most error dialogs. In this talk from @Scale 2014, Adam Ernst and Ari Grant present some of the problems met during the development of the native Facebook mobile application, and the solutions developed. The first part, starting at around 7’00, explains why the built-in data management library was ill-suited and how they designed a different system to better suit their needs. The second part, starting at around 24’30, shows how their implementation of MVC was becoming unmanageable and how they redesigned it. Interestingly enough, in both cases the solution was based on immutability. The Italian company CoeLux has apparently managed to create an artificial light which uses a material that mimics the atmospheric scattering, to look like sunlight and light from the sky. Judging from the photos and videos available on their website, it seems the look is very convincing. As they point out, this could have a serious impact on architecture, as available sunlight is a factor in the design of buildings. Unfortunately, at this stage it is a prohibitively expensive product for the average consumer, and likely targeted at the construction industry. But it might be only a niche for some years before expanding to a larger scale. No, the light source doesn’t move… yet. No, the colour temperature isn’t dynamic… yet. The void height needed is a metre. It consumes 340W of electrical power, but that will come down as LEDs improve. Following on his previous talks on data visualization and programming interfaces, Bret Victor presents the idea of what he calls a “seeing space”, meant to improve understanding of problems in the context of collaborative engineering. Seeing Spaces from Bret Victor on Vimeo.